Ready or not, teachers and students are about to come back to school! Why not be a little creative in welcoming them back? Depending on what assets you have (time for planning, talent on staff, etc.) may determine if your efforts are a solo act or more of a group effort. Either way, your staff and students are sure to feel welcomed and happy to be back. Here are a few ideas that you might want to consider that won’t break the bank or require you to recruit Disney. Getting to know others is a great way to build camaraderie among your staff. Sometimes, though, the back-to-school to-do list is too full to allow you the flexibility to build in all the activities you’d like to do. Why not use Flipgrid to introduce yourself to the group using this template: share your name and what you do, one thing you are excited about this school year, and one fun thing you enjoy doing when not at school. Here is a sample Flipgrid Intro sandbox that you can jump in and record your own and see what others say that join in (be sure to use the password intro123 to access the sandbox). Since Microsoft purchased Flipgrid earlier this year, all educators can enjoy the great features of Flipgrid without having to pay. This has to be one of the best free tools for educators and leaders to use! And, since each Flipgrid has to be password protected, you don’t have to worry about outsiders accessing your activities or seeing videos of staff and students. To find more great ideas of using Flipgrid, consider searching on Twitter for #flipgridFever or take a look at the resources they have curated for you. Even if you find that you are not one that likes to be on either side of the video camera, you can still find resources that can inspire your staff to make a difference this year like never before. You can find a variety of inspirational videos at http://bit.ly/educatorsinspire. My favorite inspirational video for educators – whether in the classroom or in administration – is by Rita Pierson as she clearly gives a call for action to make a difference with those we serve. How will you start the school year for your staff, teachers, and/or students? Will you design activities that help them focus on the critical nature of their job in supporting students? Will you help them grow in trusting their peers so they are more likely to look for inspiration and great ideas around them to emulate? Or will you use a video to evoke humor amidst the hard work that is already starting for the 2018-2019 school year? However you choose to start this school year, we’d love to hear your story and possibly pass it on to encourage and inspire others to do the same. You can drop me a line at [email protected] and let me know. 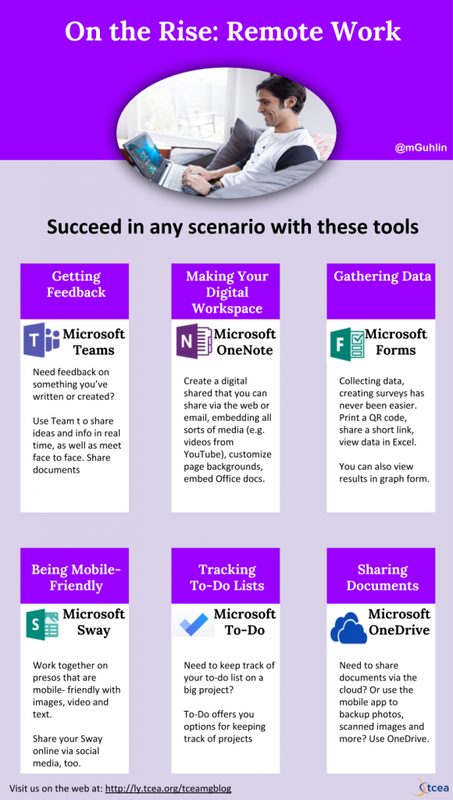 There are so many different tasks that I do which involve using either Microsoft Word or Google Docs that I have picked up a few tips and tricks over the years to help make using Microsoft Word even faster so I can get to other items on my to-do list. And isn’t that our main goal anyway? 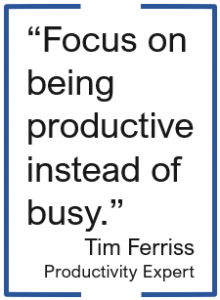 As Tim Ferriss, author of The 4-Hour Workweek, said, “Focus on being productive instead of busy.” I was training this past week on Microsoft Office and had that startling realization that there are things I know how to do in Office that I take for granted and just assume that everyone knows the same things and makes use of various tools to speed up their process. So, here is a shortened list I would share with someone if they use Word, but want to be more productive. Word comes with many preferences and options that are available to tweak. To begin, click on FILE →Options. The Word Options dialog box appears with a navigational menu on the left and options to edit on the right. I have found the following changes to be beneficial. Auto Recovery – Initially set at ten minutes, I dropped mine down to five. Whether I’m on my laptop on the go or plugged in at the office, if something happens and my computer shuts off, the worst case scenario is that I have only lost five minutes of work. Embed Fonts in File – If you are like me and enjoy a variety of fonts, then you will want to select this option especially if you share your Word files with others. When enabled this feature embeds your TrueType font within the document so you can edit/view it on a computer as intended, even if that computer doesn’t have the font installed. BTW, my favorite font sites include 1001 Free Fonts and DaFont. CTRL+Click URLs – I found it much simpler to deselect this option. Now, when I click on a URL that is a Word document, it automatically opens in my browser. Otherwise, I have to hold down the CONTROL key and click the link. Copying/Pasting – When pasting from other programs, I typically want just the text (not the formatting), so why not set it here? I also have my pictures inserted/pasted as Tight…which is what I would change them to most of the time. The few times I want an image inserted in line with text or in front of text, I can easily change it on the fly using the Wrap Text button on the Format ribbon tab. Recent Documents/Folders – It seems like I am always needing to find a Word file that I used a while back. To help make that easier, I increased the preference to show the 50 most recent documents (to quickly access them) and 50 unpinned recent folders. While there are many tools in Word to make use of, here are the ones that help me be more productive when I am in a time crunch. Format Painter – I cannot believe that everyone doesn’t know about the Format Painter tool! Click in the text that contains the format you want to paint somewhere else. 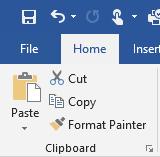 Then, click the Format Painter tool once if you are only going to apply it once or double-click it if you want to apply it to multiple pieces of text (or graphics) in your document. If you double-click the tool, then you will need to click it again to turn it off. This tool is especially handy if you have multiple locations where you want to bold, resize, change the font, and the color! Styles – Instead of being forced to use the styles that are listed across the Home tab ribbon, consider updating them to be what you want. When your cursor is in the text that contains the formatting you want to keep, right-click on the appropriate style and select “Update…to Match Heading.” This is equivalent to boosting the Format Painter tool in that I don’t have to go and find the format in my document to click in and then grab the tool. Updating the styles makes it even easier. Margins – I have noticed that when I start a new document, I typically want 0.5 inch margins all around. So to make it easier, I’ve updated my margins and clicked the “Set as Default” button. You can also specify the orientation, paper size, paper source (if you have a nice printer with multiple trays), and other settings. Setting as default will save the preferences in the normal template that Word uses each time it start a new document. Some folks are mouse people and some folks are shortcut people. I am a shortcut person. I would much rather learn a shortcut if available instead of moving over to use the mouse and then jumping back on the keyboard. So here are a few of my favorite shortcuts. CTRL+m – This shortcut will indent the margin by 0.5 inch. And when you are ready to jump back to typing at the original margin, just do SHIFT+CTRL+m. If you are just wanting a hanging indent, then try CTRL+t. CTRL+k – This shortcut is handy to use when you are typing a website and it doesn’t automatically convert or you want to add a link to text. CTRL+c – Use this shortcut if you want to center align the text you are in. You can also use CTRL+l (left justified) or CTRL+r (right justified). CTRL+] – This shortcut applies to the text where your cursor is (or the selection if additional text is selected) and increases the font size. To decrease font size, just use the neighboring key to the left (CTRL+[). ALT+click/drag – We know that you can click and drag to select text. This shortcut is like that only on steroids! While you hold down the ALT key, click and drag to select the columns of text you want to delete. Once selected, just his the delete key or backspace key. Let me know which feature or shortcut you find most helpful and/or most used. 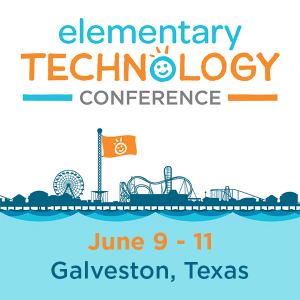 You can tweet to us at @TCEA and @DrBruceEllis. Or, if you need more characters, share via the comment section below. 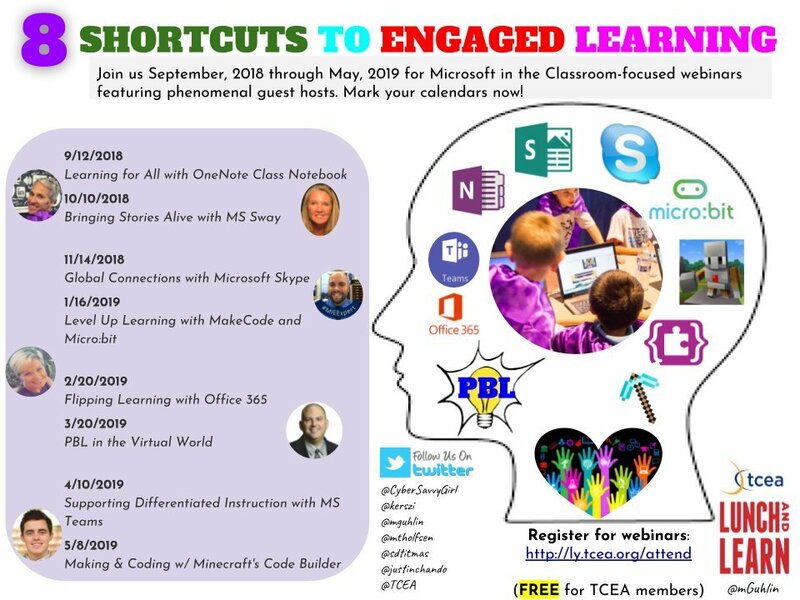 If you would like TCEA to come to your location and train your staff to be more productive with Office products, including Microsoft Office 365, you can drop me an email at [email protected] with preferred dates and I’ll get back in touch with you regarding details. Buried in email? Looking for creative ways to organize and sort your emails? Come along as we take a quick look at some of my favorite email apps and email organization tools. You may need this if you have over fifty emails sitting in your inbox. Looking for a combination email and calendar management solution? An active iOS user, I’m often on the lookout for apps that combine a variety of tools into one multi-purpose approach. Outlook blends a simple interface for email and calendars and provides support for Microsoft OneDrive. But you don’t need to be a Microsoft enthusiast to enjoy Outlook (free) on your Android or iOS device. With a unified inbox and swipe to archive or delete feature, this makes Outlook one of your best choices. It is a solid choice for those who may not want to deviate from traditional email clients and desire a simple interface. Spark‘s interface takes email management to the next level above tools like Google’s Inbox and Outlook, automatically sorting your inbox into various categories. “All new emails are smartly categorized into Personal, Notifications, and Newsletters,” reports its website. The app even includes a built-in calendar, and quick responses (e.g. “Thanks!”) for when on the go. It also has Apple Watch integration, which means you will receive updates on your Watch. Give it a try. It is one of my favorite apps. Google’s Inbox offers many of the same features as Spark, as well as a few more. Still, I find the lack of a universal inbox to be a bit of a bother. The process to switch between multiple inboxes is problematic. It also lacks support for Microsoft accounts, which could be an impediment for those of us straddling two worlds at work, home, or both. A relative newcomer to email, Astro features a Mac OS and iOS app. It enjoys an artificial intelligence (AI) that can help you manage your email (with Slack and Alexa support, scheduled emails, snooze emails). After using it for a week, I must confess that it works quite well. With it, I’ve managed to maintain inbox zero for my priority emails. You can add very important people (VIPs) so that they end up in your priority inbox. All others, such as newsletters, are shuttled to the “Other” category. I find the Slack integration, which allows you to read your email in an Astrobot channel, to be a time-saver. Reading my email in Slack, I’m able to archive, delete, or otherwise dispose of it from my Slack client, whether on my mobile or laptop. Astro also support multiple account types, such as Gmail, Microsoft Outlook/Office365, and others. The Newton app, which works on popular mobile devices (e.g. Android, iOS, Chromebook), boasts a host of awesome features (e.g. Alexa support, read receipts, send later, scheduled emails, snooze emails). Formerly known as Cloudmagic, I pulled my hair out when CloudMagic switched to a subscription service ($49.99 per year). Still, it offers one of the best cross-platform interfaces among all the apps. Any administrator will tell you that dealing with to-do items in their school Gmail account can be overwhelming. On a good day, you may get upwards of 50 to 100 emails. A few of those include critical tasks as opposed to information you may or may not need (e.g. “Hey boss, I’m going to need to work late on that project!” or “FYI – Look at what my co-worker and I are doing”). Two incredible add-ons will literally change how you see your email in the browser. SortD provides some amazing tools for organizing and managing your email. Some of its primary features include a multi-column layout for your Gmail (as shown above), adjust list names, and drag-and-drop to reorder the content of each column or across columns. There are many other features, but you may want to try it out. Before you do, take a look at the other contender in this space, Drag. 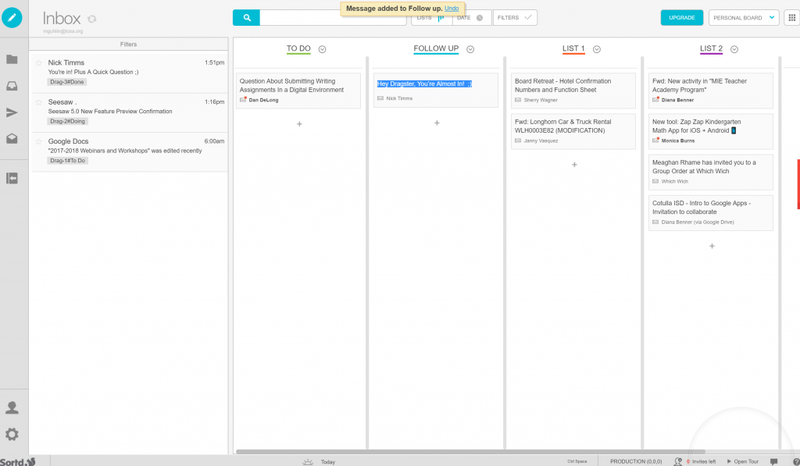 Looking for a quick way to organize your email into columns, as shown above? Check out the Drag add-on. The add-on works quite well and does not take over your screen like SortD does. Unlike SortD, Drag lacks a mobile interface. It works strictly in the Chrome browser, so you will have to make do with that (which is fine for Chrome users). Watch video. Sort all your email in your inbox into Action, Follow-Up, and Someday. Anything else, including emails you deal with, go into Gmail’s built-in archive (a.k.a. All Email). How do you keep your inbox organized? Share some ideas in the comments.